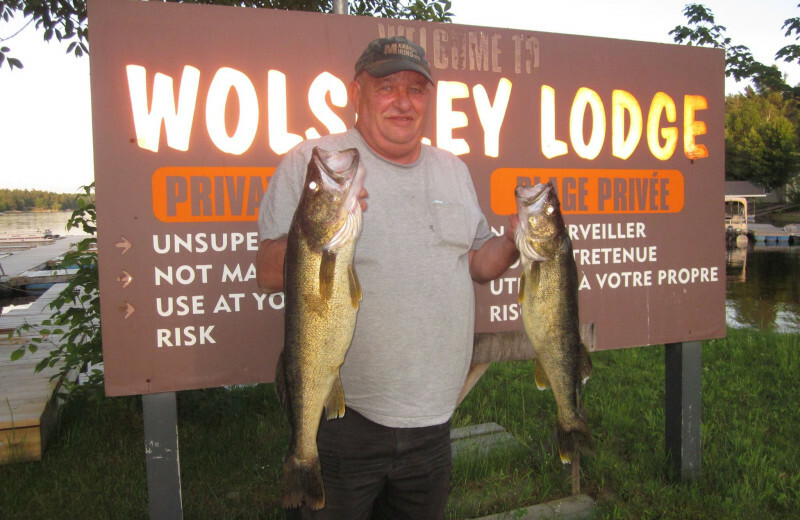 Established in 1928, Wolseley Lodge has a long tradition of offering exceptional outdoor experiences to families and anglers alike. 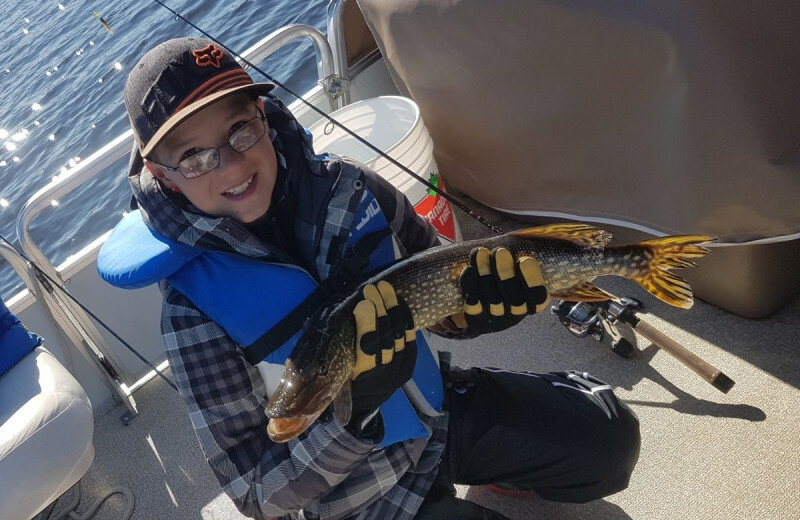 With an ideal location along the shores of the French River, you can see why many locals consider this to be one of Ontario's premier fishing destinations. 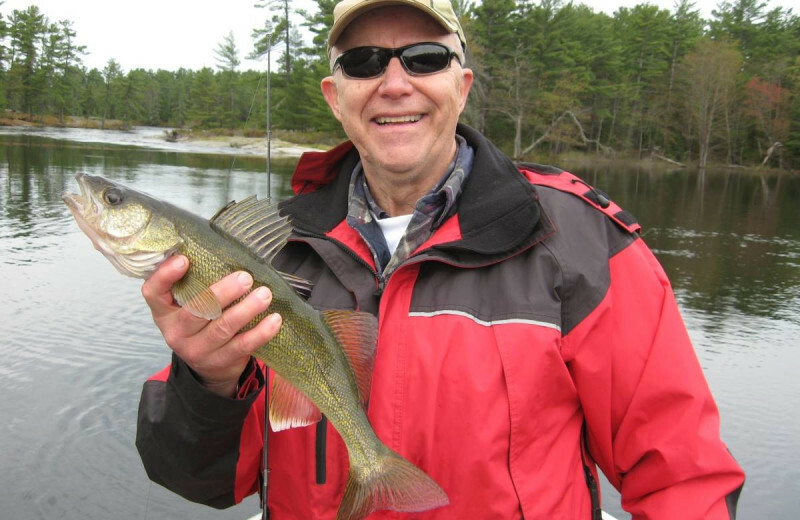 The French River is more like a chain of lakes connected by rapids that are teeming with walleye, muskie, northern pike, small and large-mouth bass, perch, and sunfish. 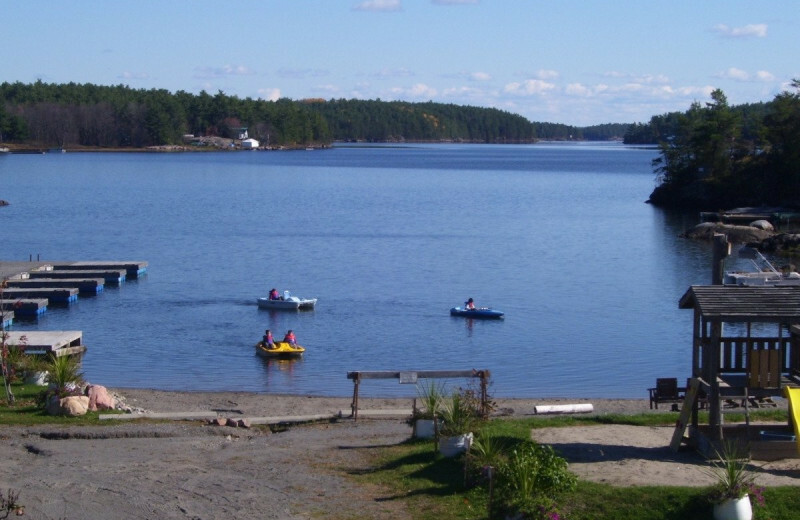 The waters of the French River and Wolseley Bay feature incredible shorelines that are primarily untouched for a truly exceptional experience. 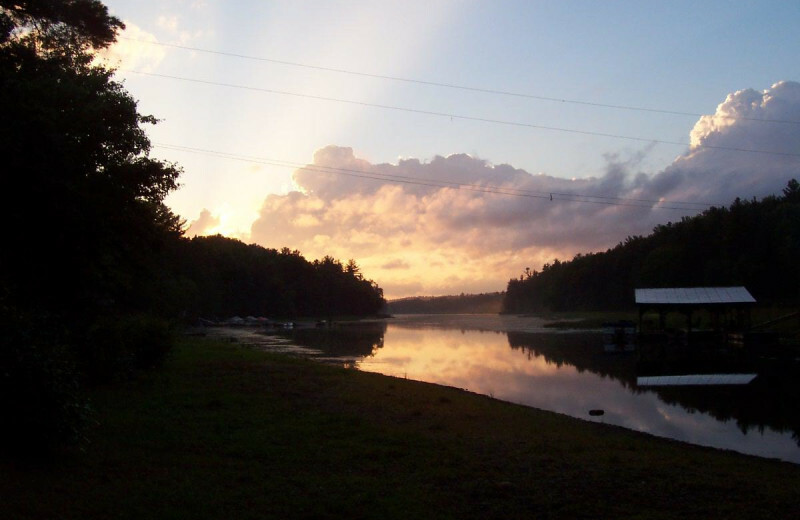 When you're not casting your line, you can explore the stunning natural surroundings on a hike, or relax onsite. The main lodge features a pool table and darts to keep you entertained. An outside playground is a highlight for the kids, as well as the complimentary kayaks, canoes, and paddle-boats you can take out onto the water for a fun cruise. 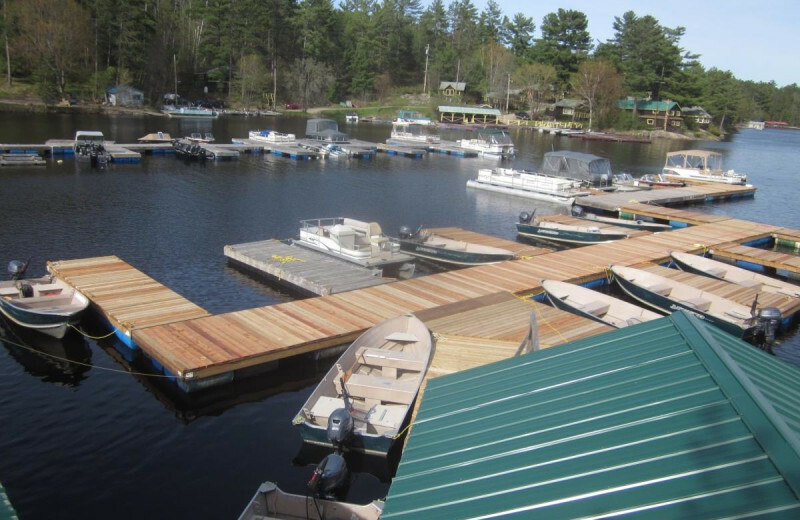 Mini pontoon boats offer easy boarding access for anyone with disabilities so you don't have to miss out on all the action either. In the evening, gather around the nightly campfire with your family or friends! 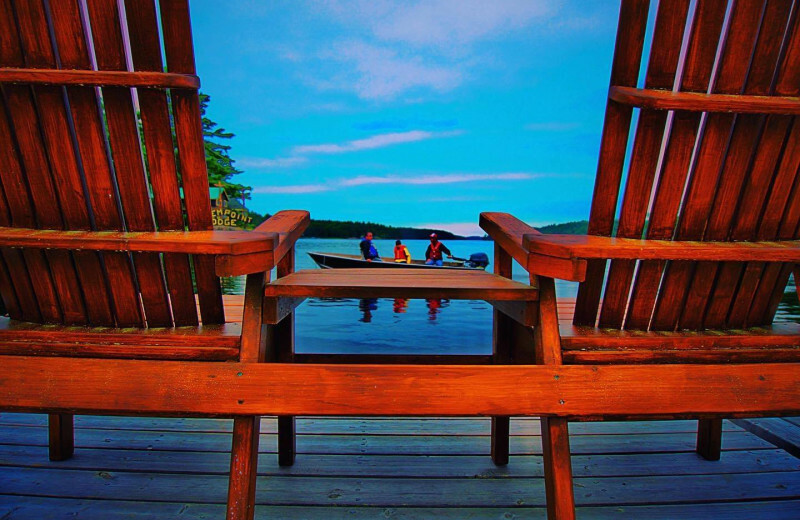 Wolseley Lodge takes all the stress out of planning your Ontario vacation. Their all-inclusive rates ensure you have everything you need for your vacation such as comfortable lodging and exciting fishing adventures. No matter if you're here with friends, family, or your sweetheart, you're sure to have an unforgettable time. 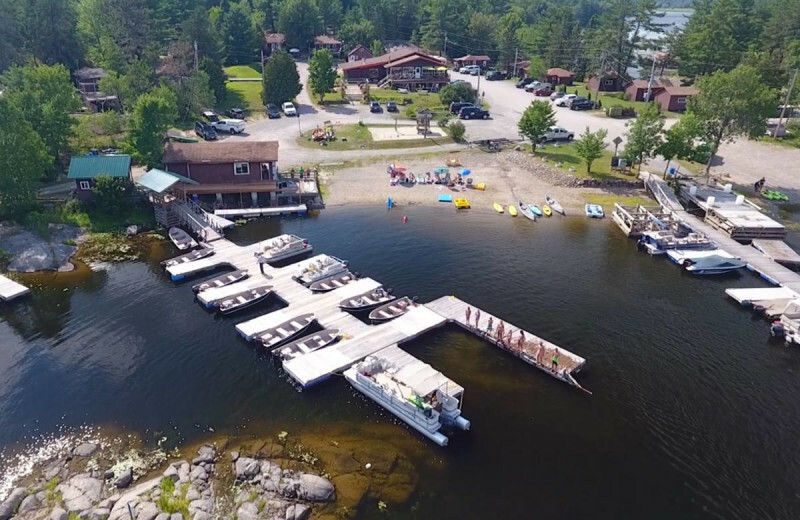 Wolseley Lodge's premier location on the shores of the French River means you're never far from the fun on your Ontario vacation. Their beach area is a great place to unwind with the family or take out a paddle-boat or canoe for an afternoon of quiet exploration. You can also just lounge by the shore and bask in the stunning views! Family fun is unbeatable when you stay at the Wolseley Lodge. This exciting Ontario destination puts you in the perfect place to enjoy endless outdoor activities together with your loved ones. 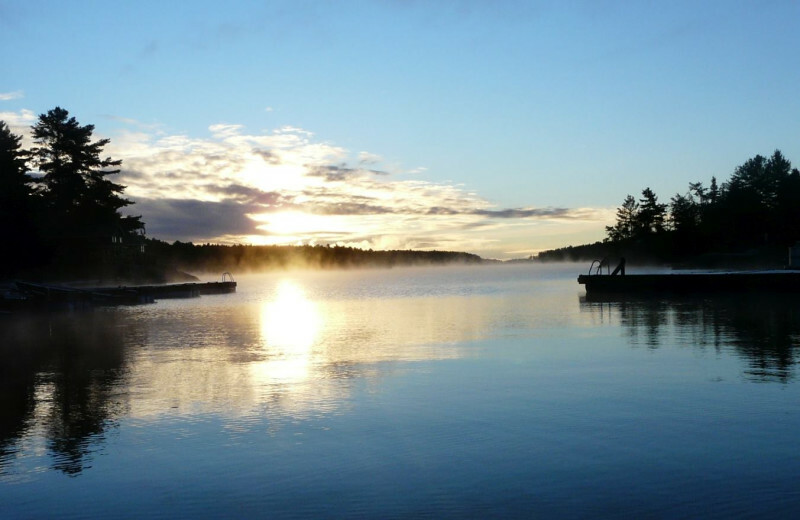 The beautiful French River offers some of the best fishing in the area, while Wolseley Bay is a great place to go for a little swim. The resort offers paddle-boats and canoes that you can take out as well, and the outdoor children's playground will surely keep the kids entertained! 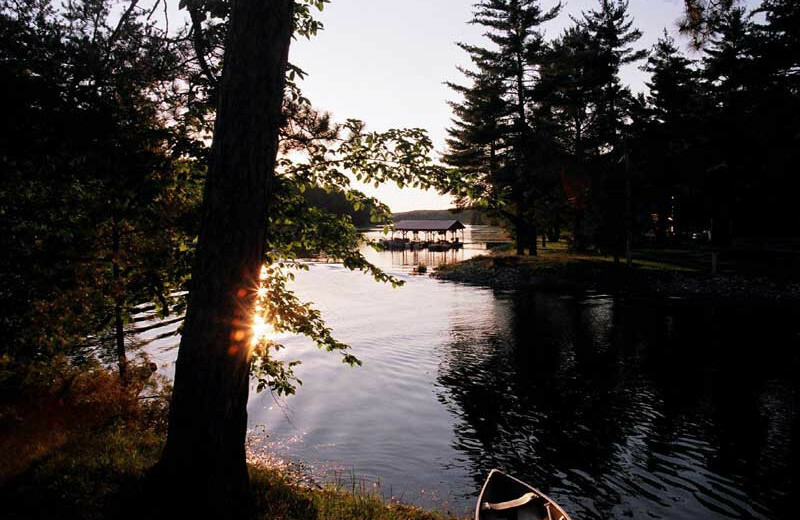 Get close to nature during your vacation at Wolseley Lodge. 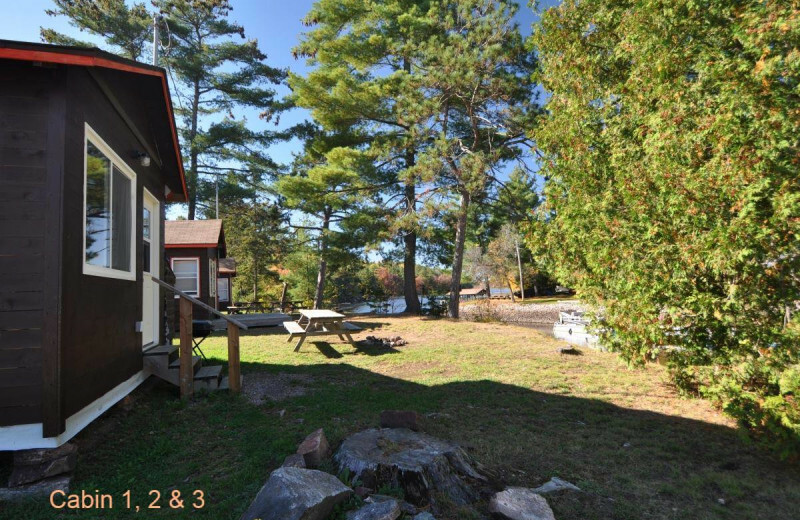 Located beside Wolseley Bay and the French River, this is the perfect place for nature-lovers to come enjoy the beautiful views and crisp, natural air. 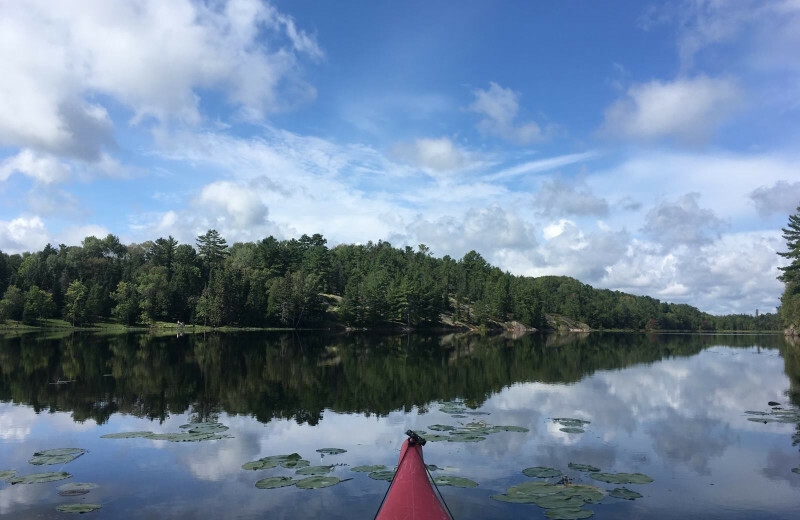 Spend plenty of time fishing on the river or out on an exciting canoeing trip; their French River shuttle services can take you to a variety of entrance points for day-long canoeing adventures and pick you back up when you're done. 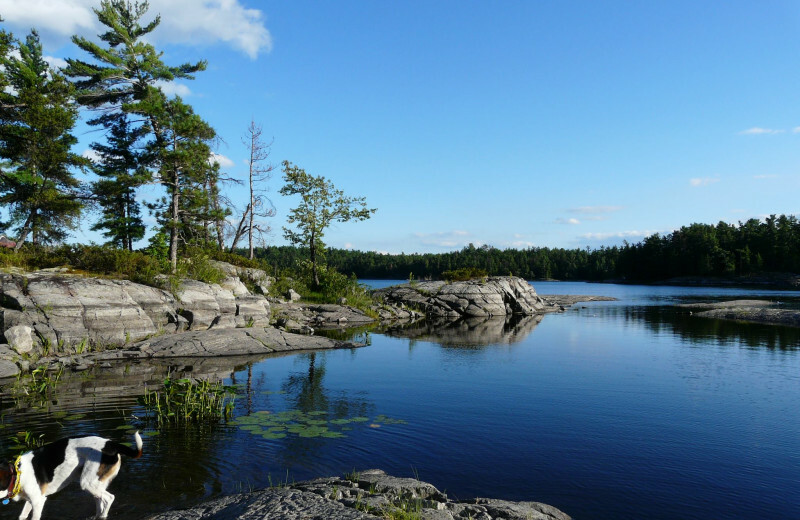 Miles of local hiking trails are available at the nearby Mashkinonje Provincial Park as well! 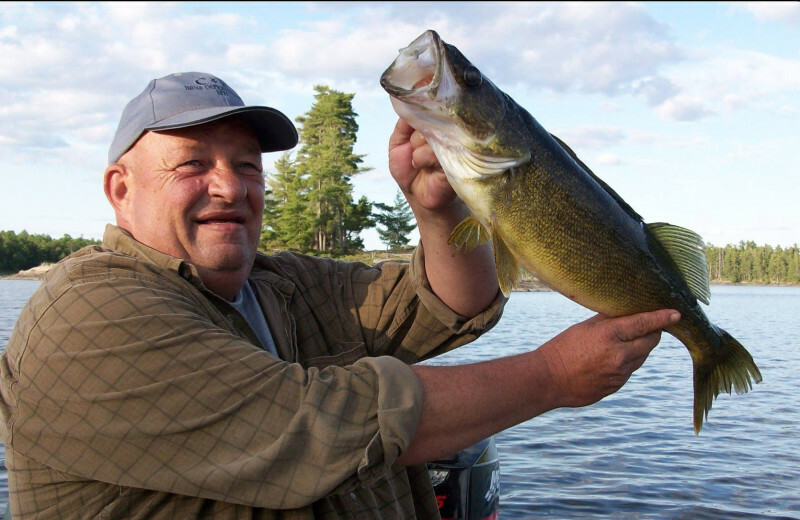 Wolseley Lodge is everything you're looking for when it comes to a fishing vacation. With the stunning waters of the French River and Wolseley Bay just outside your door, you're never far from all the action. 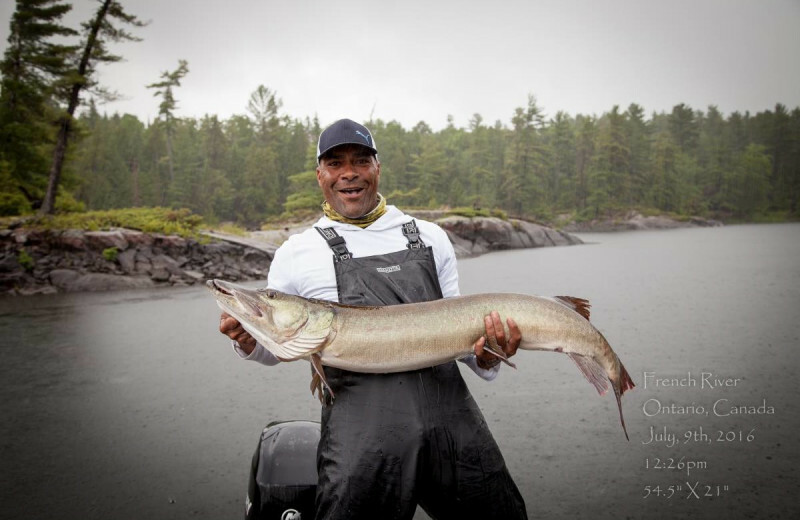 The lodge provides a selection of all-inclusive fishing trips that equip you with the best gear and direct you to the optimal spots to cast your line. 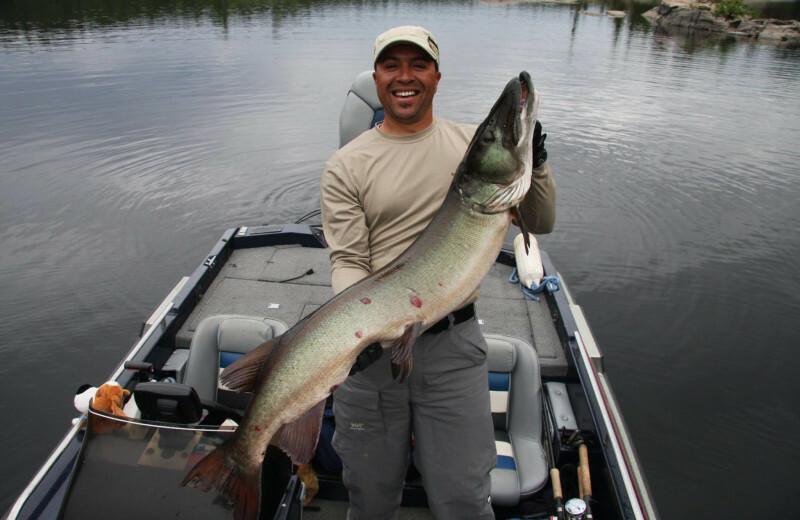 Reel in plenty of walleye, muskie, northern pike, small and large-mouth bass, perch, and sunfish during your trip. 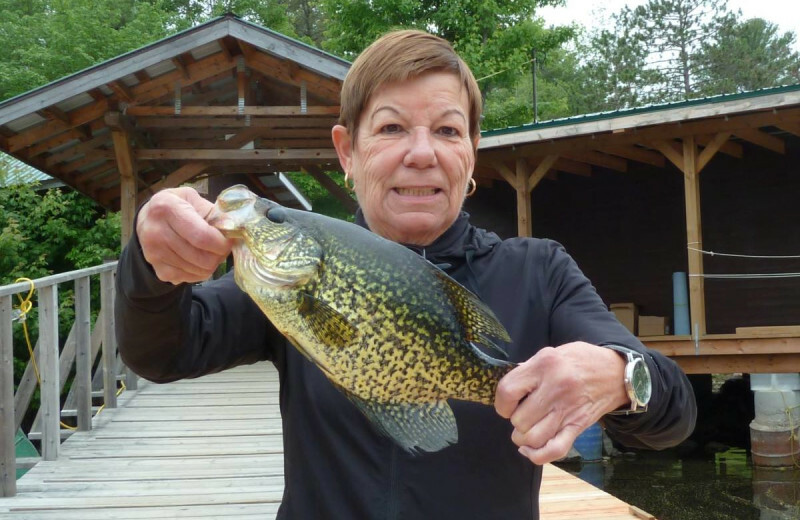 If you're here in July or August, don't miss out on their Free Fish Fry where you can indulge in delicious fish and meet other fishing fanatics! 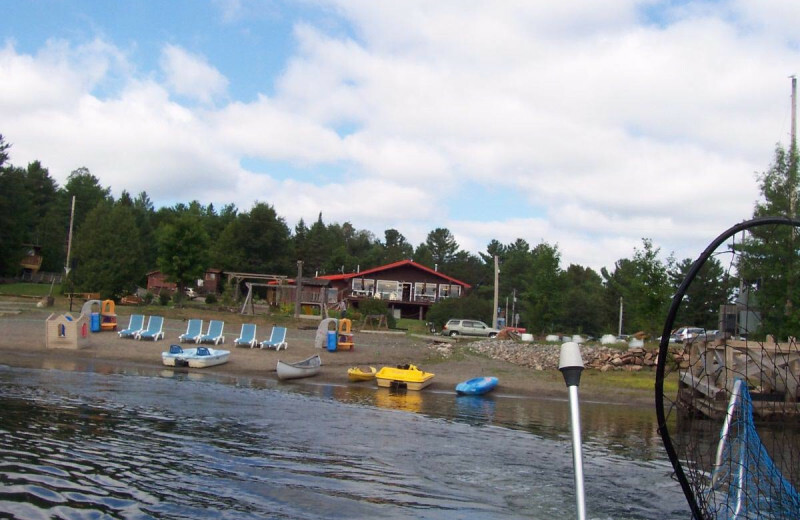 The adventurous couple will love a vacation at the Wolseley Lodge. 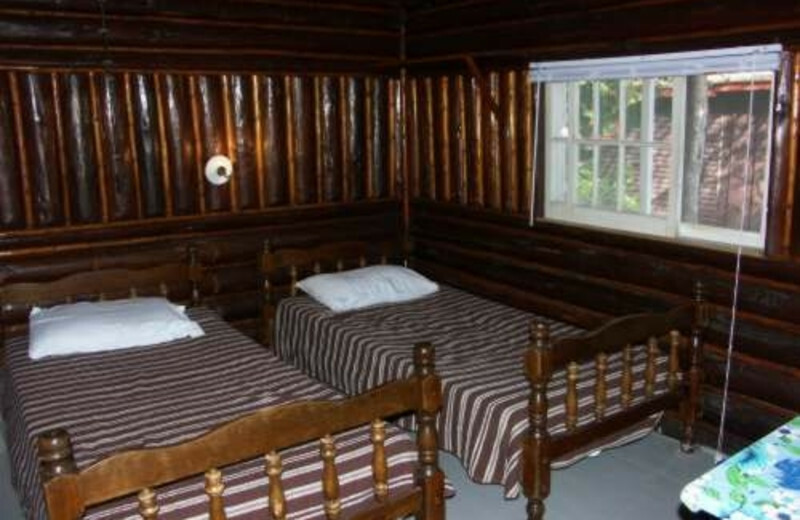 Here, you can stay in a cozy room or cottage and enjoy the stunning nature views all around. It's the perfect place to getaway from the hustle-bustle and spend quality time together. 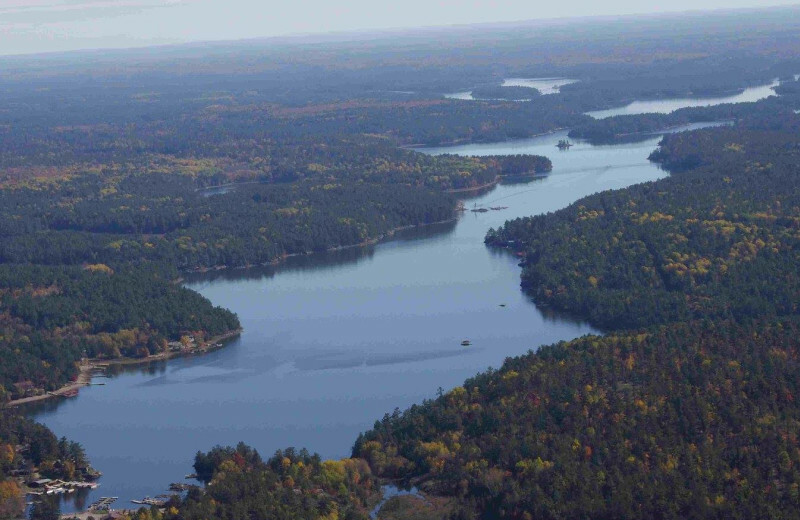 Venture out on a fishing trip down the French River or explore the many hiking trails in the area. There are a few golf courses located within a 15 minute drive from the lodge as well! 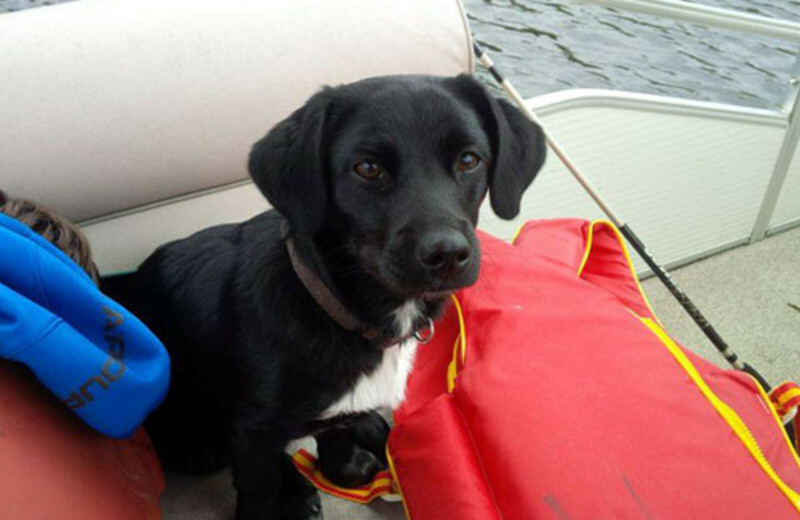 Don't worry about leaving your pet behind at home on your Ontario vacation. 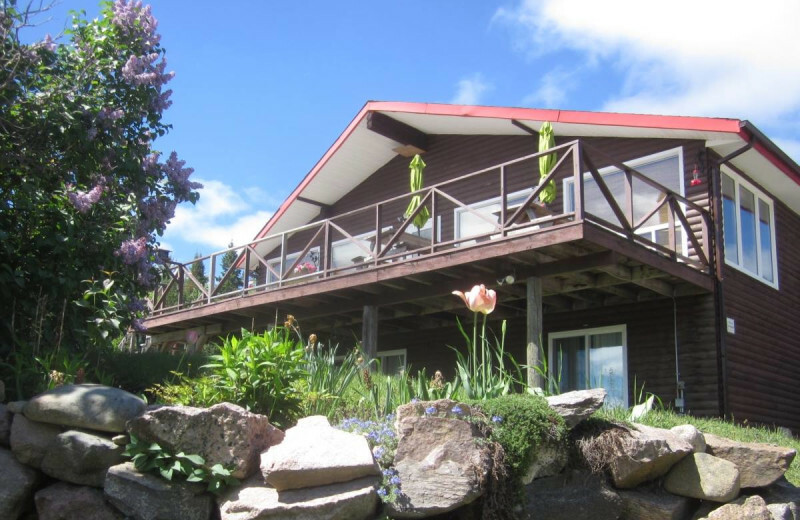 Wolseley Lodge understands that pets are a part of the family and therefore offer pet-friendly accommodations for anyone who can't bear to be apart from their furry friend. For more information regarding their pet policies, please contact the resort. 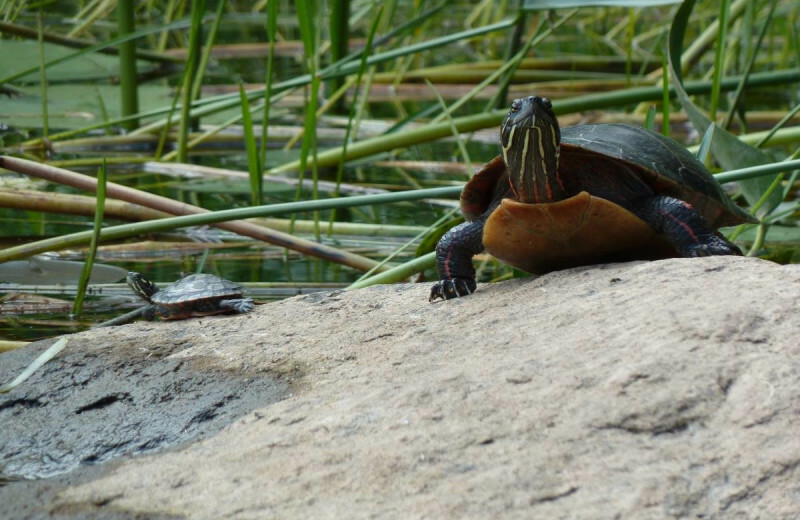 Get close to nature during your vacation at Wolseley Lodge. 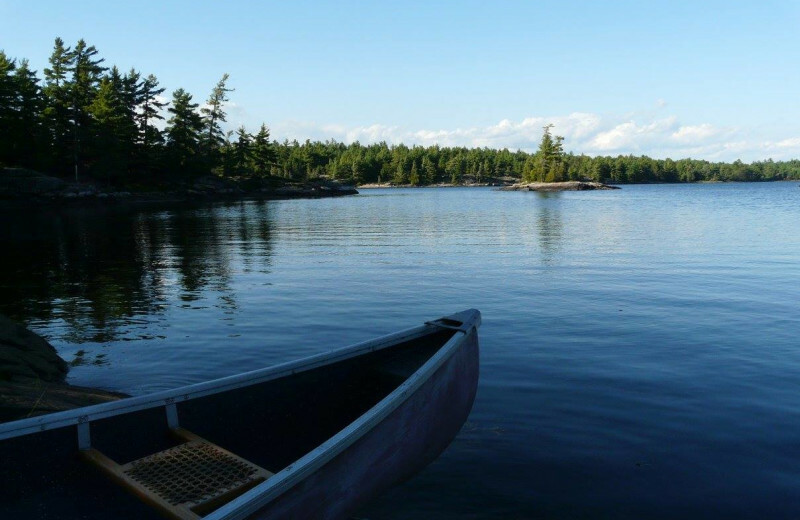 Located beside Wolseley Bay and the French River, this is the perfect place for nature-lovers to come enjoy the beautiful views and crisp, natural air. 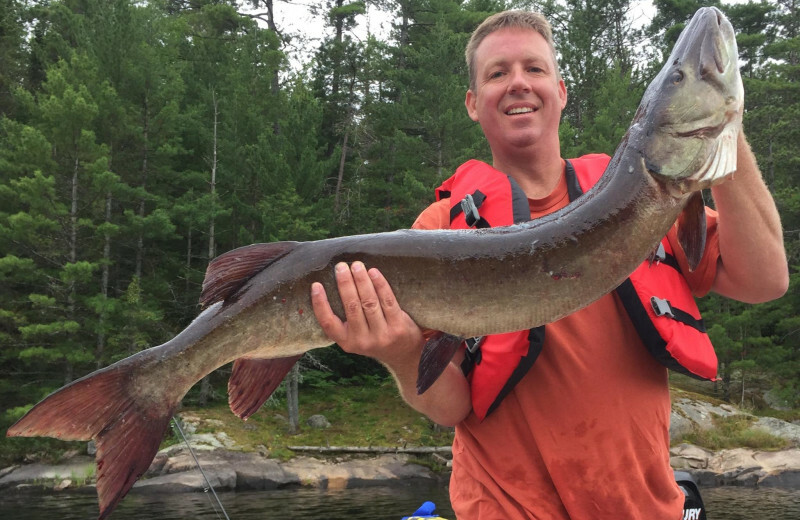 Spend plenty of time fishing on the river or out on an exciting canoeing trip; their French River shuttle services can take you to a variety of entrance points for day-long canoeing adventures and pick you back up when you're done. Learn all about the beautiful area and what you can do to give back. 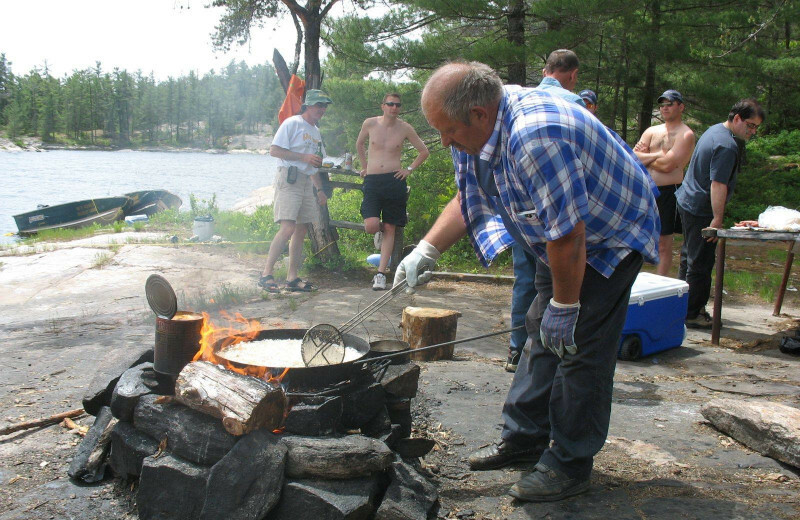 Wolseley Lodge rests right beside Wolseley Bay and the French River, which is much more like a chain of lakes connected by rapids than a single river. This premier waterfront location means you're just steps away from exciting adventures. 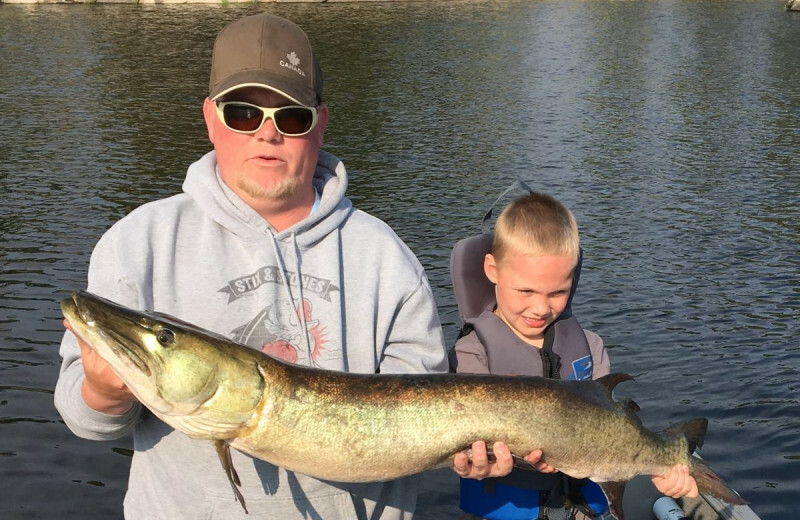 Spend an afternoon casting your line for walleye and bass, or plan a day-long canoe trip that takes you along the breathtaking waters at your leisure. Their onsite beach area by the shores provides plenty of space to relax and swim when you don't feel like going too far from the lodge! 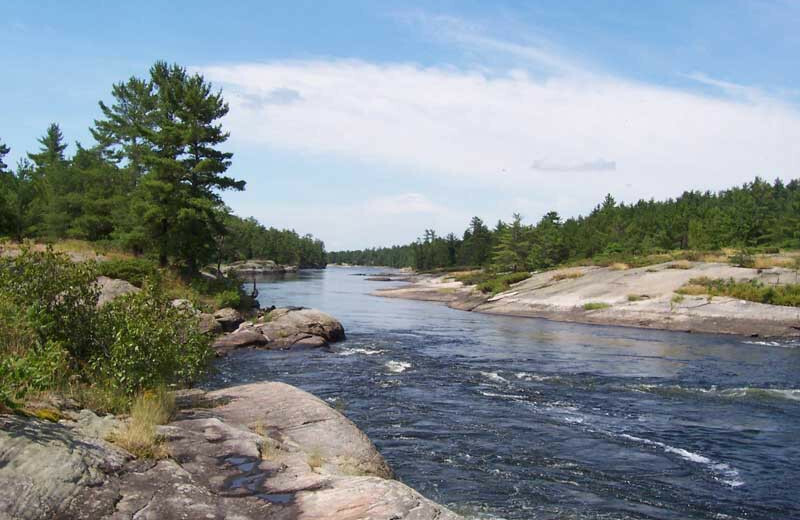 The French River is the first Canadian Heritage River and is steeped in a rich history that dates back to 1928. Samuel Champlain, a French explorer, was the first to discover the Great Lakes by traveling on the French River, which used to be a major trading port with a long history with transportation. 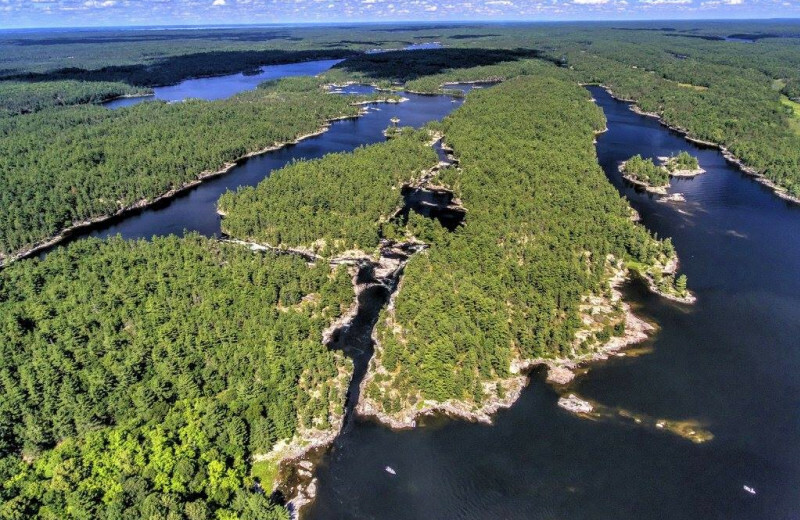 The French River is part of the French River Provincial Park which helps preserve the waters and its surroundings. As such, 99 percent of the shoreline is natural! Make your honeymoon one you'll always remember at the Wolseley Lodge! 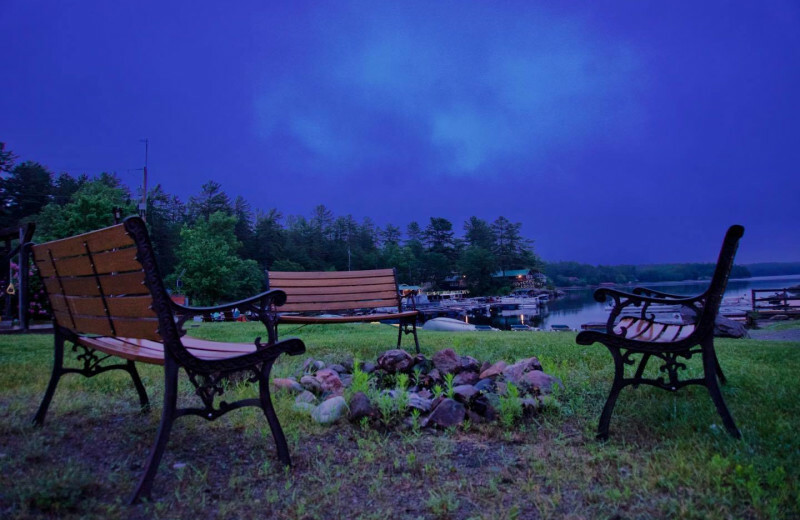 Surrounded by beautiful nature and just steps from the Wolseley Bay and French River, this is the perfect place to getaway to after the excitement of your wedding day. The two of you can settle into a private cottage, spend your time canoeing or paddle-boating the waters, or enjoy a day of fishing at your leisure! 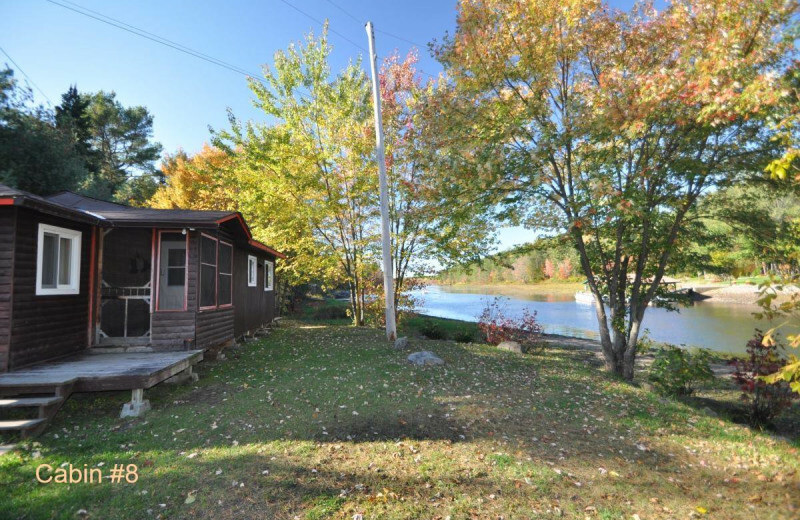 Wolseley Lodge features a selection of 16 charming French River cabins. 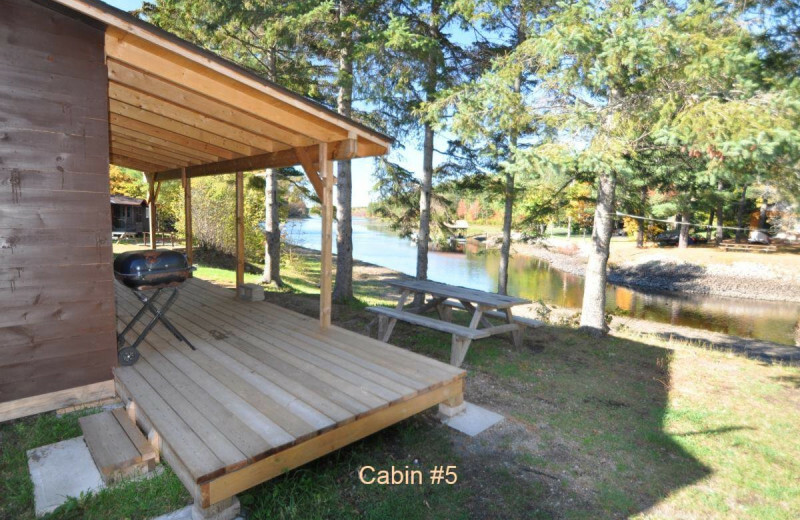 Their cabins offer stunning views and a variety of modern amenities to ensure you don't have to rough it on your Ontario vacation. Complete with a kitchen, bathroom, electric hot water tank, and electric baseboard heating. 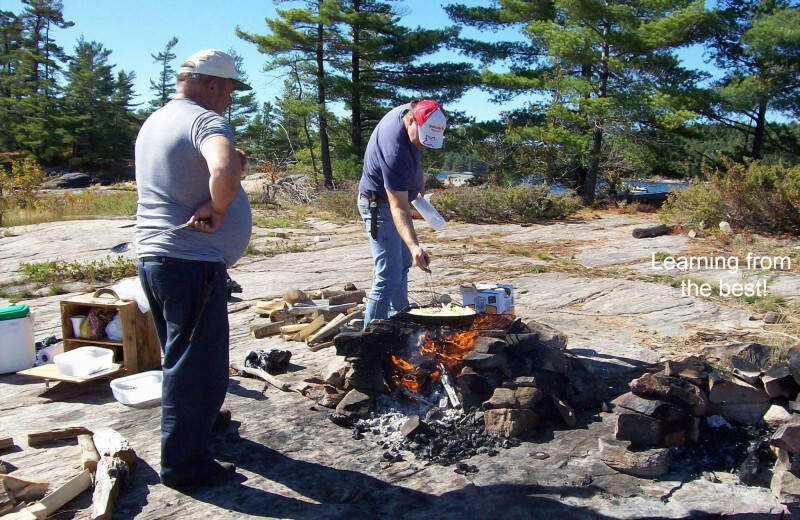 Most of their cabins have fire pits and charcoal barbecue grills as well. 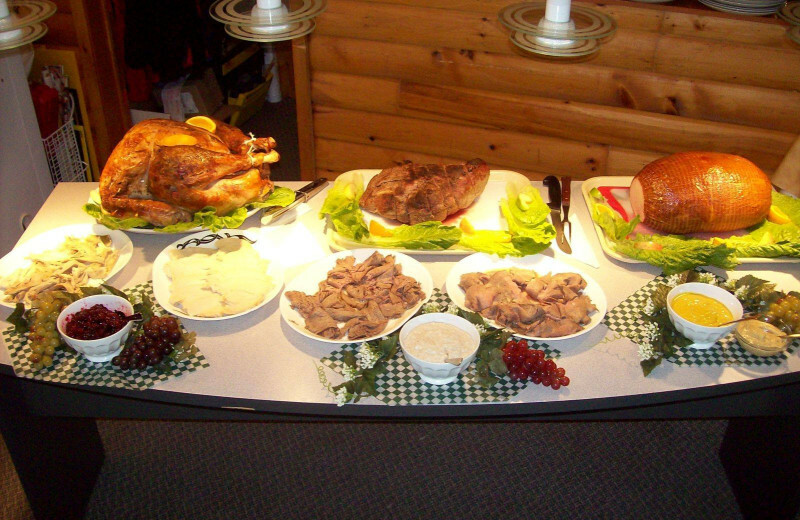 Celebrate the holidays at the unforgettable Wolseley Lodge in beautiful Ontario. Whether you're planning a trip over Thanksgiving, or here during the spring break holiday, you'll love the chance to spend quality time with family and friends away from all the distractions. 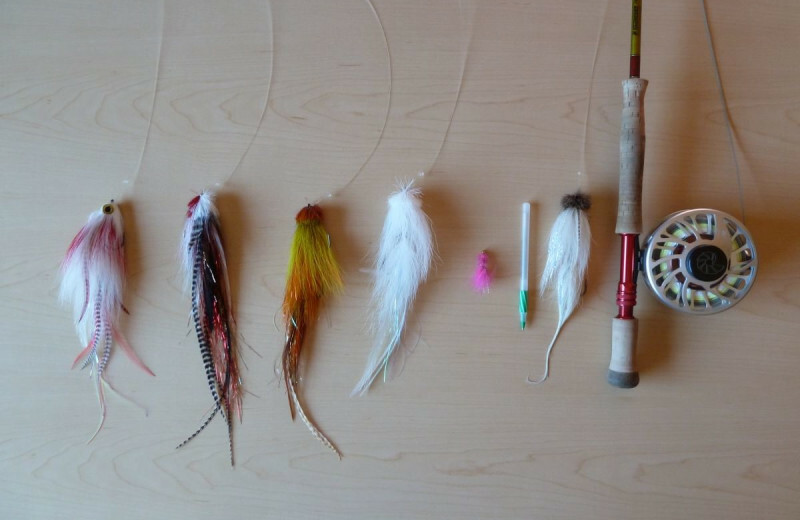 Explore the nature trails, fish to your heart's content, and much more! 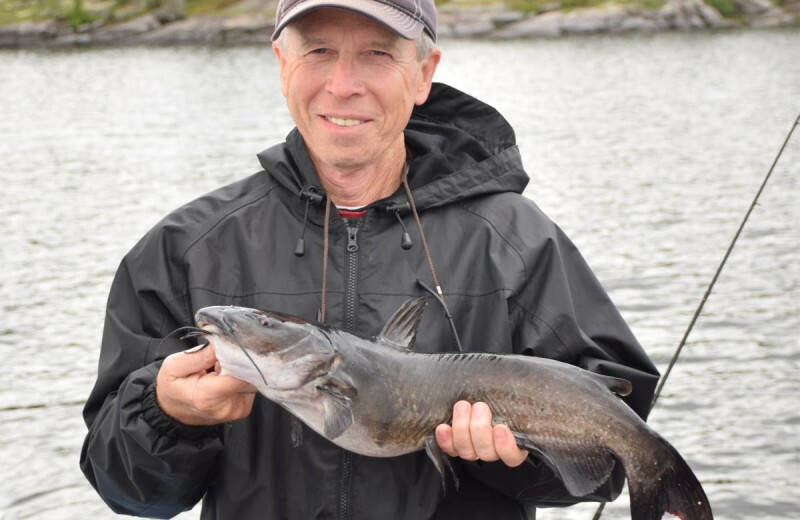 Wolseley Lodge ensures that your fishing adventure is everything you could ever want--and more. 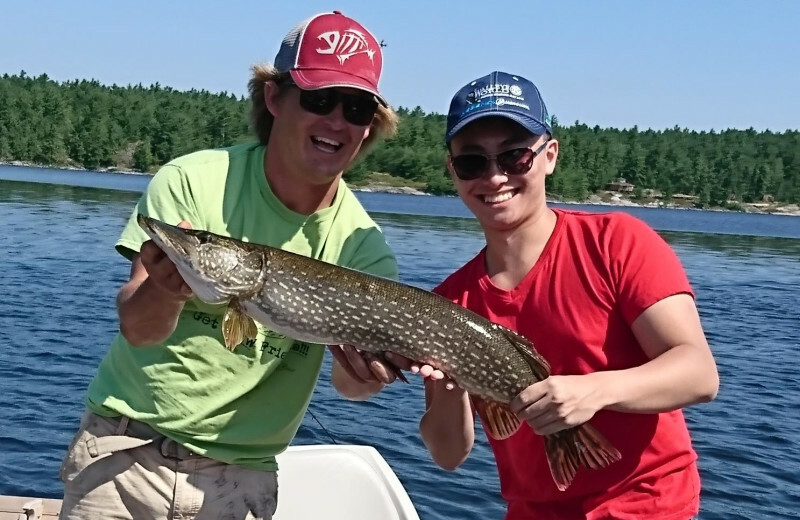 Their premier location on French River ensures you're minutes from the best spots to cast your line. Before you head off, they will equip you with the best gear. All-inclusive packages include not only your cozy accommodation but a sixteen foot Legend Boat with a 25hp motor and anchor! Our Great “all inclusive” American Plan. 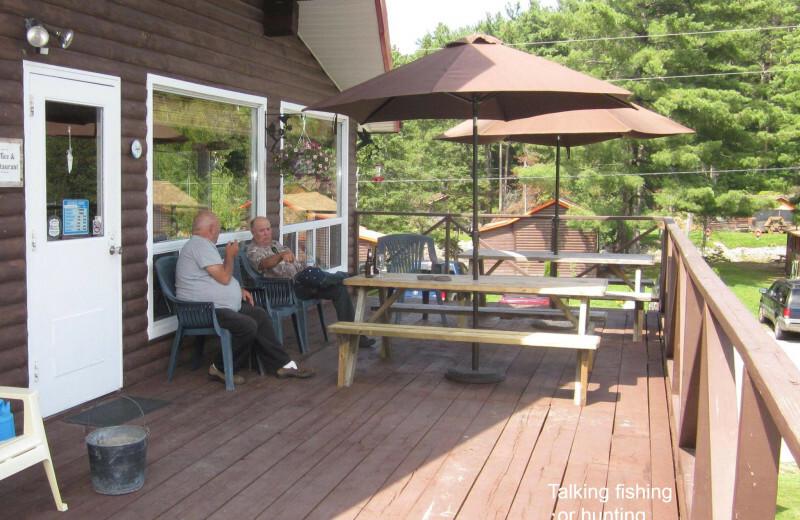 All you need to bring are your personal articles, fishing tackle and a great appetite for our home cooking style meals. Our clean comfortable cabins are equipped with private 3 pc bath, electric heat, refrigerators, ranges, coffee maker and microwave. There are 16 cabins to choose from, ranging from 1 to 4 bedrooms. Charcoal barbecue, a picnic table and free firewood for the evening campfire. 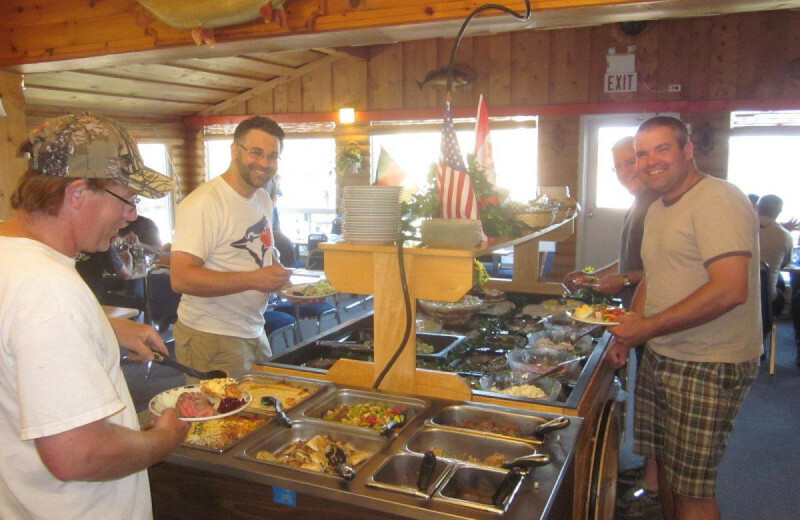 American Plan package with 3 meals/day, dinner on arrival day, breakfast on departure day. 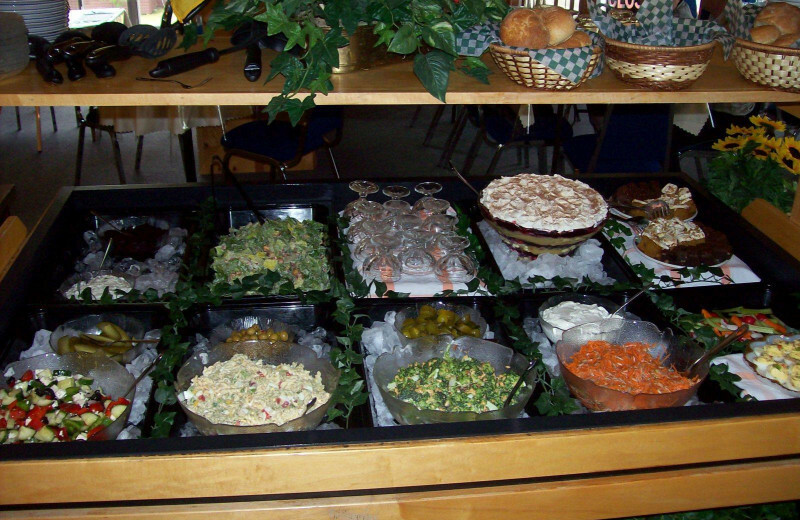 All non alchololic drinks provided with you meals only (by law we can not include Liquor). 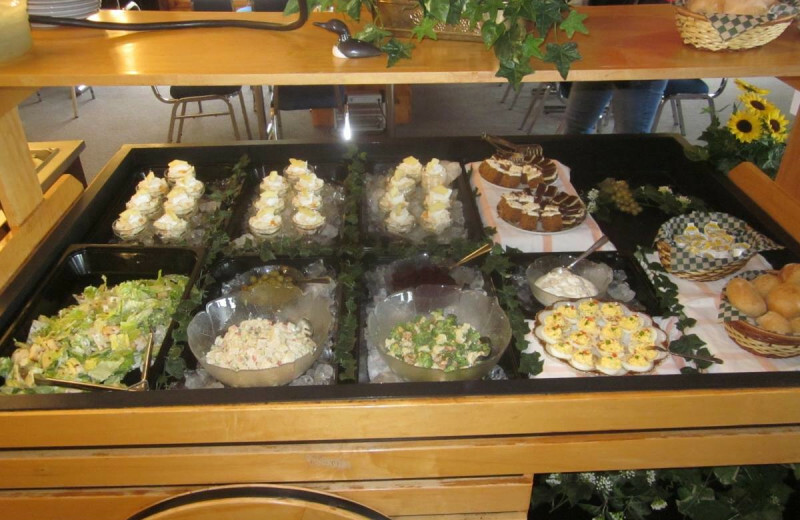 A prepared shore lunch or boxed sandwich are also available. Ice for cooling drinks. 16ft Legend extra wide body fishing boats, equipped with 25 hp e-start Yamaha Motor with Power Trim & Tilt, Variable Trolling speed and live well; all gas and safty equipment included. 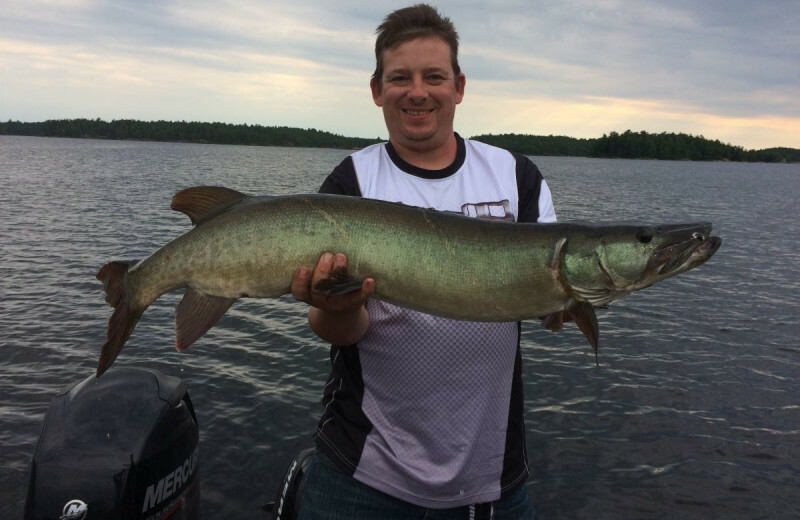 Bring your fishing tackle, pick you your live bait and your all set for a day out on the French River. Upgrades to pontoon boat are available. 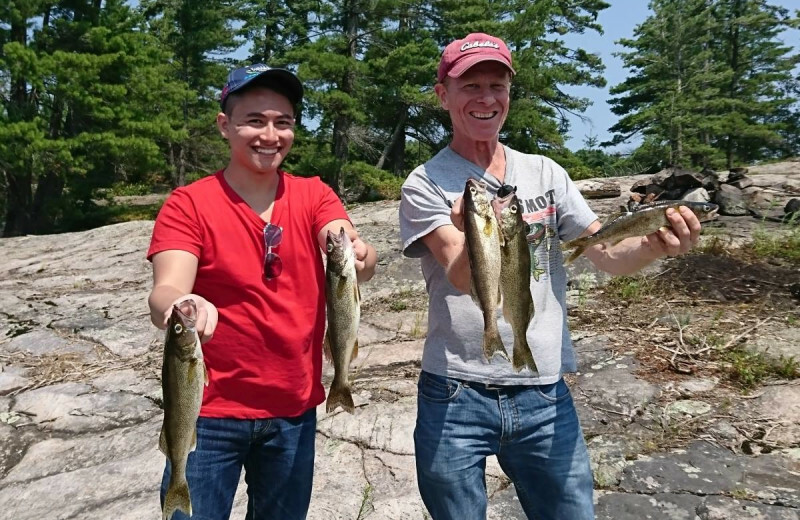 worms or minnows (no minnows during the hot summer weeks) included for the great fishing at the French River. Guiding is avialble at prevaling rates, please book you guide early. Price per person in CAN$, 13% Tax will be added . This American Plan Package is based on 2 guests per boat (2in1) for 7 nights. 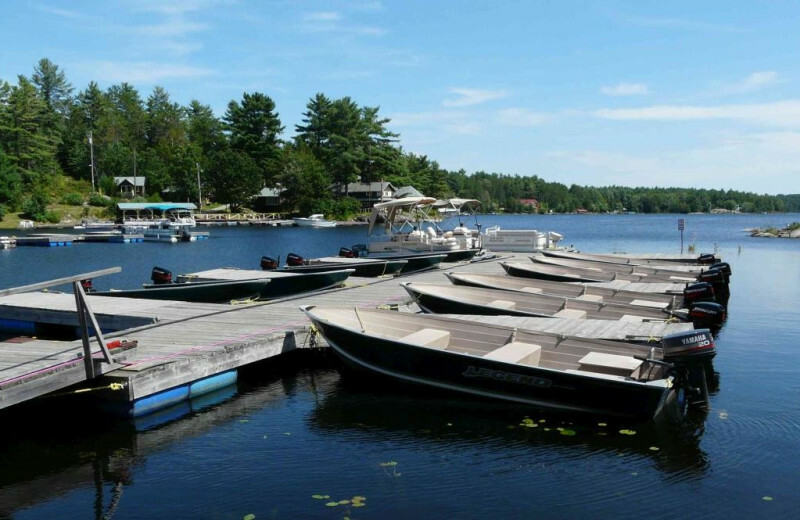 Shorter stays (3-6 nights), 3in1 packages or Modified AP (bring your own boat) are available as well. 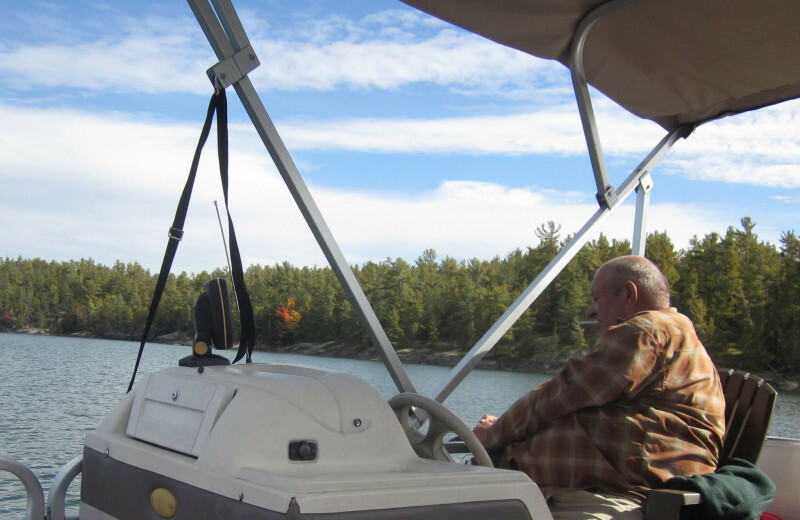 Please call us for more details like guiding and pontoon boats. For all terms and conditions check our webpage or give us a call. 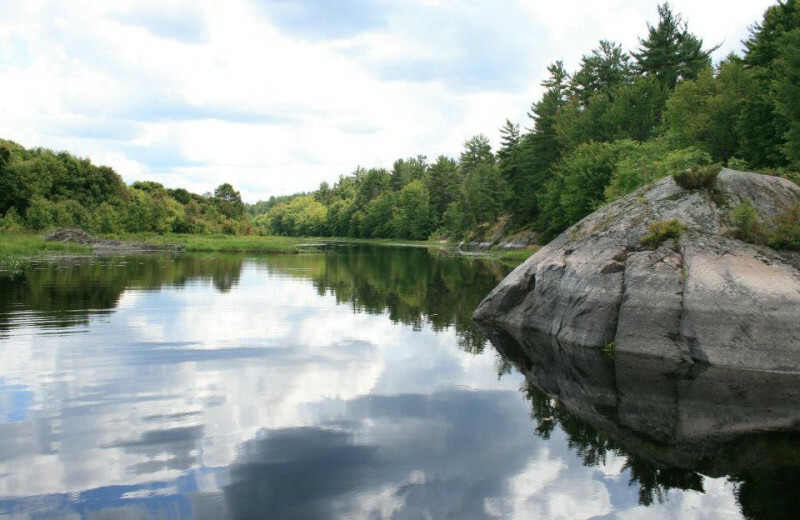 This property is ranked number 2 on Top 5 French River Getaways. Read about it here.